The future of scientific skincare combines the formidable power of BIOEFFECT's award-winning, barley-grown EGF (epidermal growth factor), Hyaluronic acid and the free radical-fighting power of Ferulic and Azelaic acids to provide your skin with the state-of-the-art, age-defying defense system. Recently I got the chance to try out two new products by BIOEFFECT being the EGF + 2A Daily Treatment and the Eye Mask Treatment. We all know that pollution can wreak havoc on the environment, thus it can deeply affect your skin in various ways. With the knowledge of the right skincare products, we can look to educate ourselves on what we should be looking to put on our skin. After all if you want to take care of your skin, you need to ensure that the products work for you. BIOEFFECT was founded by three scientists who spent years developing a method for creating biorisk-free, recombinant proteins in plants for use in medical research. After discovering a method to bioengineer a plant-based replica of human EGF in barley in 2010, they launched BIOEFFECT's now iconic EGF Serum, taking Iceland by storm. These cooling hydrogel eye masks is designed to allow the EGF eye serum to absorb into the skin for maximum results. Instantly, you can feel a sense of coolness, freshness and radiance to the eye contour area. If your eyes are looking a tad tired, pop these babies onto the area to reveal less puffiness and dark circles. The eye masks fit to any face shape and is made for all skin types to use. How I would use the product is by starting with the BIOEFFECT EGF Eye serum and look to massage it to the skin under the eyes. Next, take the eye masks and place one under each eye. Leave them on for about 15 minutes. After leaving the masks on for about 15 minutes, I found the skin under my eyes resulted in looking more radiant, restored and firm. My puffiness and tiredness was immensely reduced especially around my eye areas. You can definitely say that the treatment is extremely powerful especially for an anti-ageing formula, as it contains a higher concentration of EGF than in the regular BIOEFFECT EGF Eye Serum. 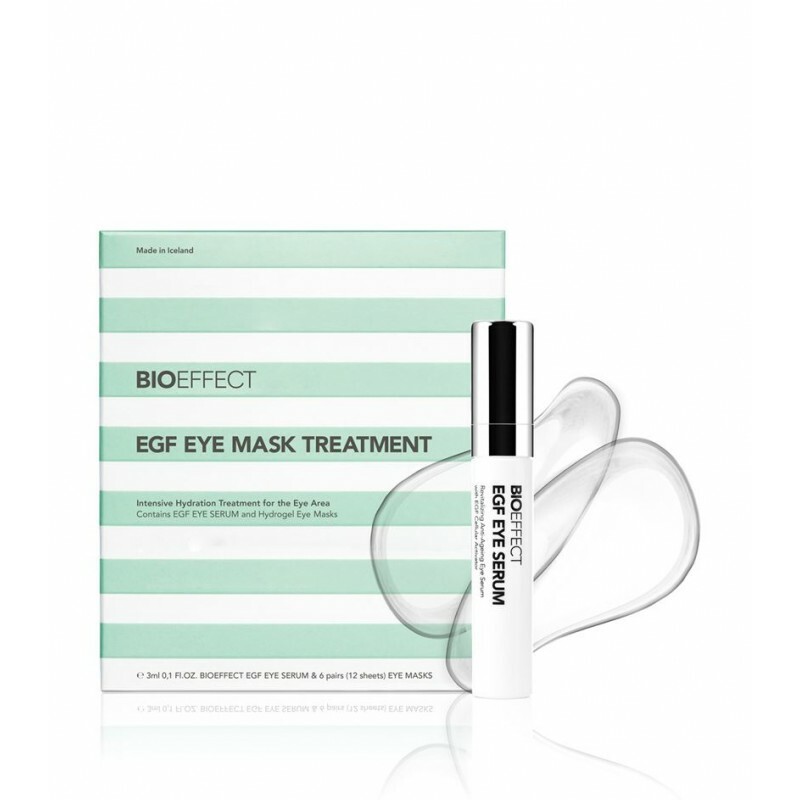 So whenever you're need of a hydration boost, you can always check out the BIOEFFECT EGF Eye Mask Treatment which is the perfect revitalising and hydrating product for under the eyes. 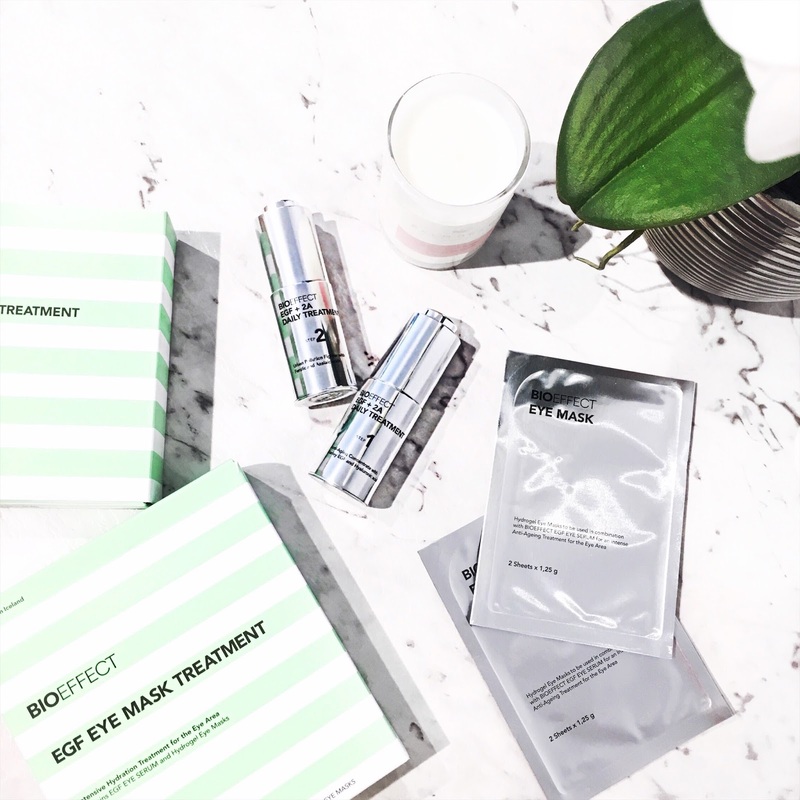 The BIOEFFECT Eye Mask Treatment is available at David Jones, Sephora and via their official website here, from March 1st 2018. This treatment looks to counteract environmental pollutants that can have an effect on the skin including pigmentation, wrinkles, dryness and texture of the skin. This two part treatment works synergistically for maximum effect while protecting, soothing and renewing the skin. It's made for all skin types to use and it doesn't contain any parabens, silicones, fragrance or oils. Step 1 - Consists of the Intense Anti-aging concentrate where it contains the barley EGF and Hyaluronic acid. It works to increase skin volume and density, whilst looking to reduce the appearance of sun damage (i.e. sun spots or pigmentation), fine lines, wrinkles, etc. With continued use of the concentrate, you can expect to achieve a more radiant and youthful looking appearance. Most importantly, your skin will love the much needed hydration that it delivers. Step 2 - Features the Energizing Urban Pollution Fighter, which contains Ferulic and Azelaic acids, protecting he skin from free radical damage caused by environmental pollution. This product does an amazing job in looking to fight rosacea and dark spots/pigmentation spots on the skin. 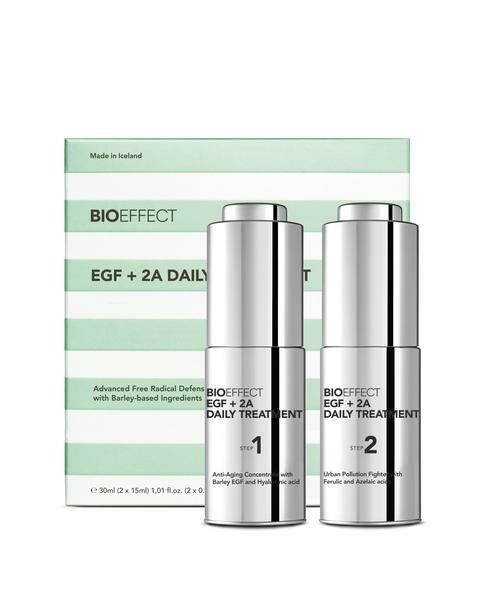 The BIOEFFECT EGF + 2A Daily Treatment is available at David Jones, Sephora and via their official website here, from March 1st 2018.